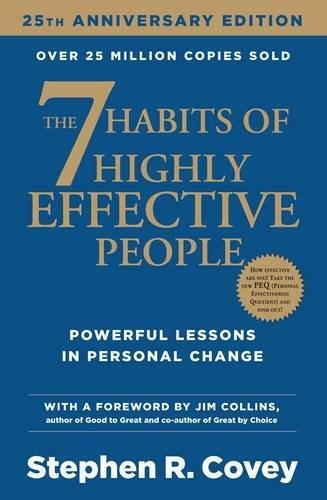 The 7 Habits of Highly Effective People, the beloved classic that has sold over 20 million copies worldwide, is celebrating its 25th anniversary with this reissue! 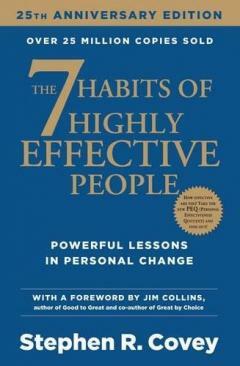 With a new foreword, the wisdom of the 7 Habits still holds true after all these years. The 7 Habits have become so famous because they work. They have been integrated into everyday thinking by many millions of people. The reason: They work. Habit 1: Be Proactive. Habit 2: Begin with the End in Mind. Habit 3: Put First Things First. Habit 4: Think Win/Win. Habit 5: Seek First to Understand, Then to Be Understood. Habit 6: Synergize. Habit 7: Sharpen the Saw. The book presents a principle-centered approach for solving personal and professional problems. With penetrating insights and pointed anecdotes, Covey reveals a step-by-step pathway for living with fairness, integrity, honesty and human dignity - principles that give us the security to adapt to change and the wisdom and power to take advantage of the opportunities that change creates.